The Dawson DDM421 is a professional grade, handheld digital multimeter. Its compact and light weight design makes it easy and straight forward to use with a single hand. The DDM421 can measure AC/DC voltage, DC current, resistance, continuity, and is a diode tester. This multimeter also comes equipped with a 2000 count LCD display, can store and hold data, and also has a low battery indicator. 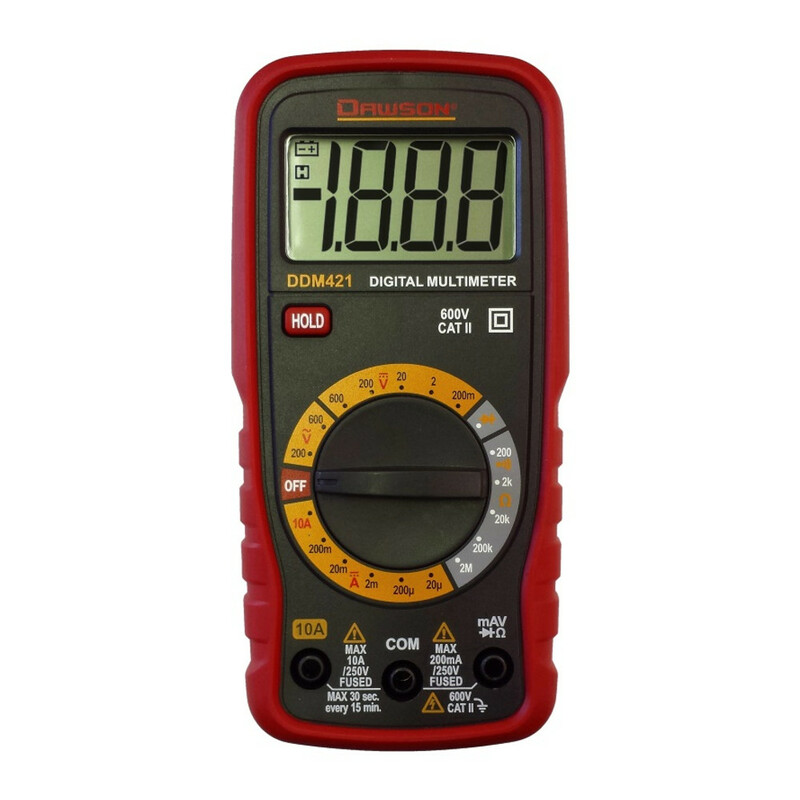 In addition to the Dawson digital multimeter, this purchase includes test leads, a 9V battery, and a user's manual. View the data sheet for a full list of specifications. Download the Dawson DDM421 user's manual here. Download the Dawson DDM421 specifications sheet here.